Meet the Eagle Merchant Partners Team: Bill Lundstrom, C.P.A. 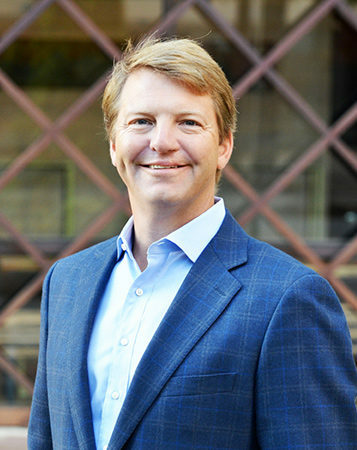 Bill Lundstrom is a founding member of Eagle and has 20 years of experience in private equity and accounting industries. He currently serves on the Board of Directors of United PF Partners, AAW, Chicken Salad Chick, LSO and Vasari. Prior to Eagle, he was a Director at Arcapita and served on the Boards of Varel International Energy Services, Cirrus Industries, The Tensar Corporation, PODS and American Pad and Paper LLC. Prior to Arcapita, he served as a Principal with Industrial Growth Partners (IGP) in San Francisco, CA. While at IGP, Bill worked with Seaboard International, AmerCable Incorporated, Global Power Systems, Consolidated Precision Products and The Felters Company. Before IGP, Bill worked at Richards Capital and Arthur Andersen LLP. He has a Master of Accounting and a B.S. from the University of North Carolina at Chapel Hill and an M.B.A. and Master of Engineering Management degrees from the Master of Manufacturing and Management (MMM) program at Northwestern University.